Welcome Winter 2011-2012 | Meghan Kelly Teles! It’s back! Winter! Just as I was swimming in the lake, enjoying the 80 degree temperatures of the unseasonably warm fall, reports of a winter storm started hitting all the major weather outlets. Although, I’m scrambling to get a construction project done before winter, I couldn’t help but be a little excited to see what this early-October snow storm would bring. As I drove home from the job site last night, I could see the clouds rolling in. The next morning I awoke to rain at 6600 feet, but it turned to snow around 7:30 AM. The excitement was growing. 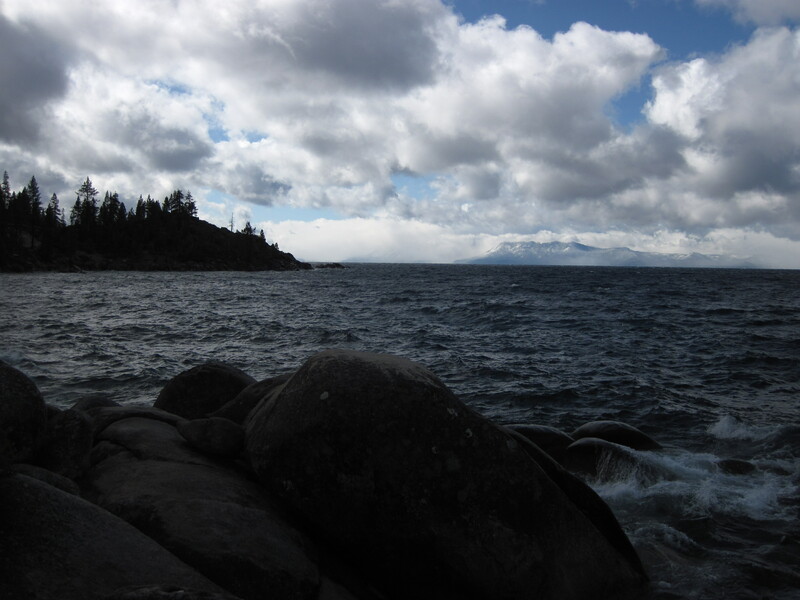 I jumped in my car and headed up the east shore of Lake Tahoe to the construction site. The sights were beautiful. this doesn't even look real! The snow halted the construction project so I decided to see what I could find in the backcountry. I headed up Mt. 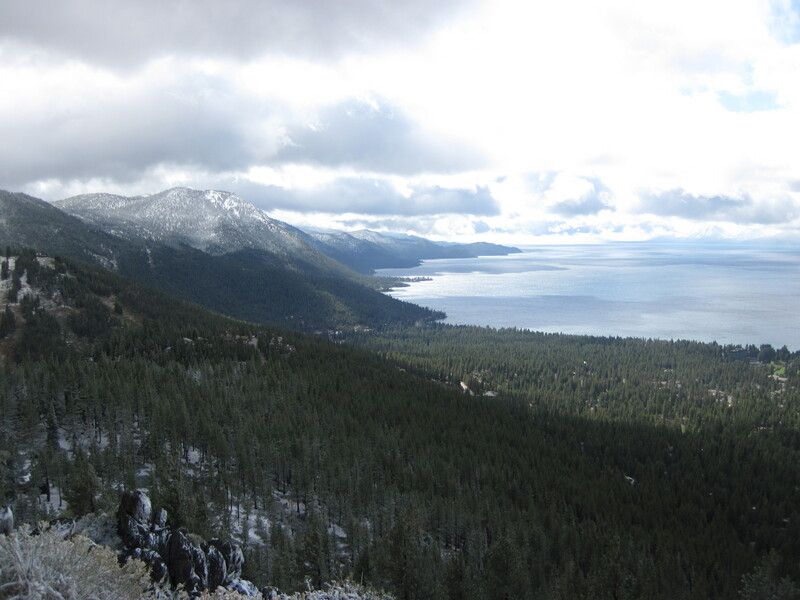 Rose highway, which at almost 9,000 feet, is the highest year round pass in the Sierras. It felt good to be skinning again. Like many Sierra storms, there was a lot of wind with this snow, which made it perfectly supportive for it’s 10″ depth. Despite the shallow snow depth, these turns felt great for October 5th. The “good” weather is supposed to return, but it was nice to get a taste of the upcoming winter. Welcome back La Nina!